Searching for things online is not new, but how people are doing it is evolving very quickly. Voice search is becoming a popular way for people to engage with the internet, with users increasingly turning to Google Home, Alexa, Siri, Cortana, etc. to verbally ask questions instead of typing out a search query in a browser. Is your website properly set up to deal with voice inquiries from your customers? There are no signs that virtual assistant sales are slowing down, with Google Home shipping about 3.5 million units in its first quarter of sales, followed by Amazon’s Alexa, coming in second with 2.5 million. Voice commerce sales were $1.8 billion in 2017, expected to reach $40 billion by 2022. These numbers prove that users are hungry for virtual assistant technology, and as a result, your website should adapt to growing consumer needs. When determining how to optimize your site for voice search, think about how people are using devices such as Google Home and Alexa. They are often posing questions, so consider adding more question and answer copy to your website, and using natural language. Your brand’s main SEO focus should be formulating a user and search engine-friendly website. The long tail search is back, so it’s important to build a comprehensive FAQ with pages dedicated to answering specific questions. Create short, one-paragraph answers and keep them informative instead of “salesy”. If possible, individual pages are better than one big FAQ page because each page can be indexed and search optimized by Google. If your website has a blog, it’s also important to reconsider your strategy to take advantage of voice search. Don’t randomly blog about whatever pops into your head in the morning. Instead, stick to content about your industry which is pertinent to your current & prospective customers. Research the topics you write about by conducting keyword research (trends.google.com is a handy tool for this), asking your customer service team what customers are talking about, and looking at what your competitors are doing. If a topic is important to your customer base, don’t just create one post and hope for the best; create multiple pieces of content (articles, videos, FAQs) covering the same topic. Structured data, also known as schema markup, is a form of HTML data you embed into your website’s code to help it become more easily discovered by search engines, and help optimize your website content for voice search. Adding structured data to your site’s code can boost your online presence and help voice searchers find your content more easily. To learn more about implementing structured data on your website visit schema.org, which houses a semantic vocabulary of tags or microdata that you can add to your HTML code to provide precise information about your web pages, which as a result should help search engines better understand your site’s content. Structured data ensures accurate and specialized search results, allowing search engines to better surface the content you produce. Click here for some examples of how a local business’s website can use these types of code to help search engines determine local business intent. This type of search engine optimization (SEO) can be used to enhance your non-brand keywords and help search engines understand the context of your website’s content. 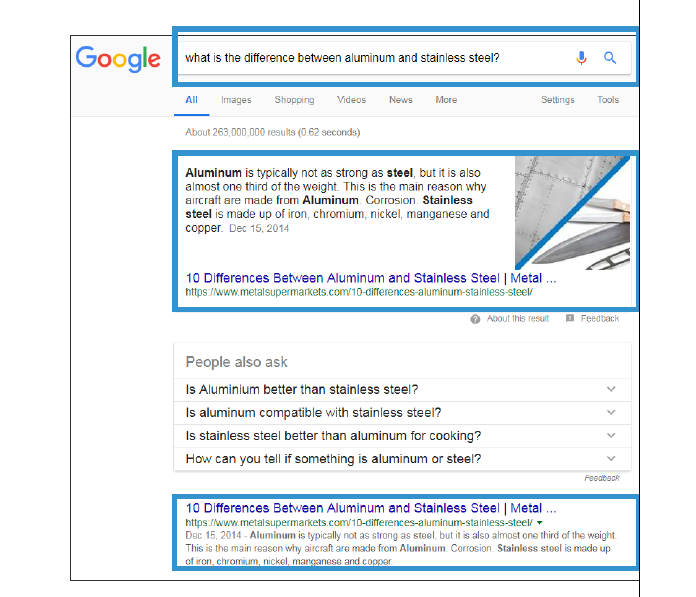 When adding structured data, it is important to stay relevant to your business and industry. Spamming should be avoided. If your content is related to art galleries and museums, it is not recommended you insert data about puppies and ice cream, for example, as they do not relate to your site. If such behavior is noticed by Google, you may receive a manual action, as it is a violation of Google’s Webmaster Guidelines. Hodan is a Social media manager @Reshift Media. In my Goodle console this message showing -We do not detect any structured data on your site.